Before I had found out about this pudding and started making it as one of the staples in my home, I googled different recipes and I bumped into food.com and boy was I thrilled. 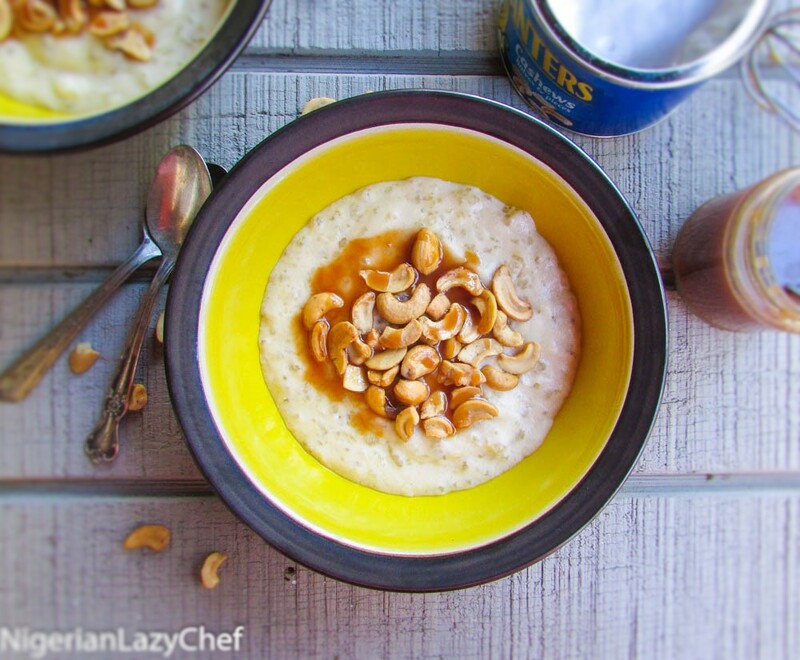 I have made different variations of it; including the one with raw eggs, but I absolutely adore this recipe as it is easy and easy enough for my ajebutter 2 to enjoy as he does not like eggs. I found the version with eggs to look and taste more like custard. Custard is great, but hmmm I just wanted a simple pudding, no drama, no coma, just pudding biko! I enjoyed this pudding with some salted caramel and cashew nuts; which went well with the sugar. So there! Sweet and salty for the win! Most of the recipes I saw online called for a lot of sugar, but I kind of winged it and used just a little over 1/4 of a cup. As the holidays approach, this will be a great recipe for your dessert table. You will be sure to wow your people and their taste buds. This recipe is what I all “small but mighty” A simple recipe with a punch to die for! 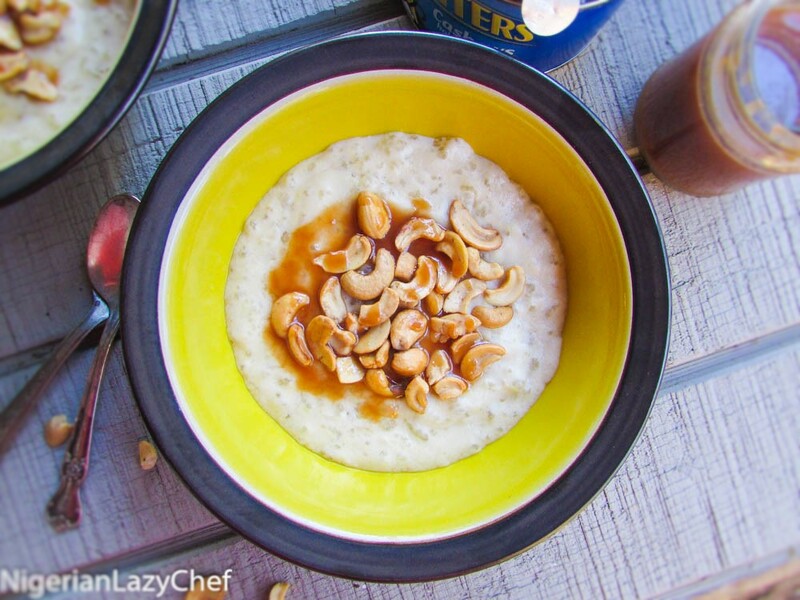 This entry was posted in Carbohydrate, Desserts, Gluten free recipes, pudding, Uncategorized and tagged how to make tapioca pudding, Nigerian food blog, pudding recipes, Tapioca and cashew nuts recipe, tapioca and salted Caramel recipe, tapioca and salty caramel recipe, tapioca pudding, Tapioca pudding recipe, tapioca with salted caramel and cashiew nuts. Just have been searching for exactly this recipe.